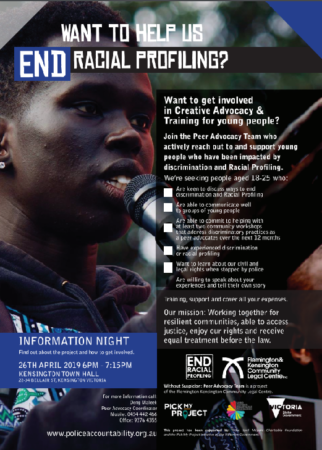 Want to get involved in creative advocacy & training for young people? 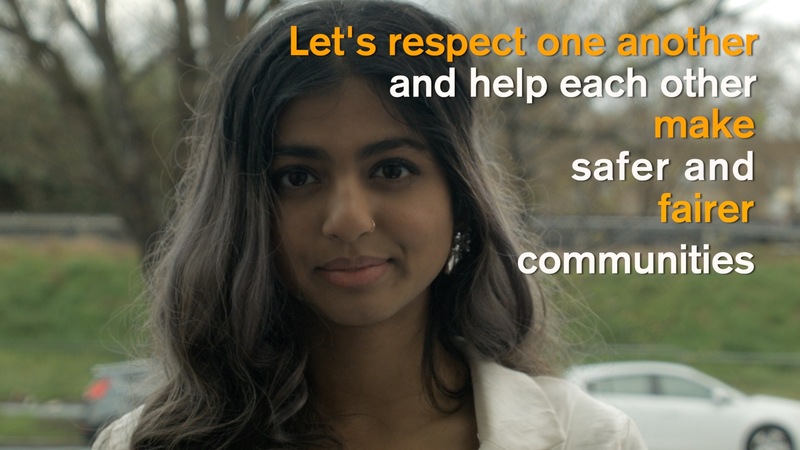 The Peer Advocacy Team actively reach out to and support young people who have been impacted by discrimination and racism. We’ll provide training, support and will cover your expenses. 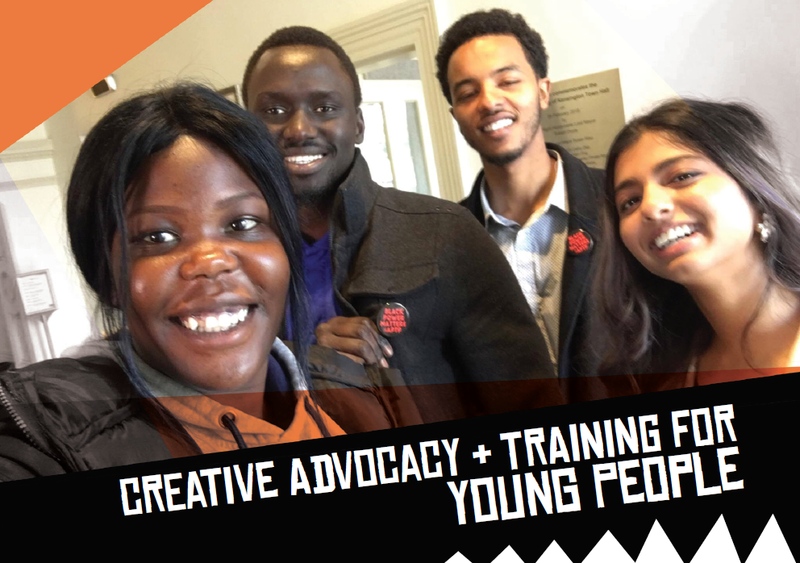 As a team we will hold Know Your Rights workshops or forums with young people from Indigenous and migrant backgrounds across Melbourne. We’ll share stories and discuss ways to end racial profiling together. The Peer Advocacy Team actively reach out to and support young people who have been impacted by discrimination and racial profiling. Building upon a successful peer outreach and legal needs analysis conducted by Daniel Haile-Michael and Maki Issa in 2015, this project supports a team of young people take on leadership roles to educate their communities about police encounters and empower them to help end racial profiling. The Team is made up of 8-12 emerging young leaders working alongside Deng Maleek and staff of the Police Accountability Project. The Lord Mayors Charitable Foundation, Pick My Project, and cohealth. It has previously been supported by The Funding Network, The Reichstein Foundation, The Gailey/Lazarus Charitable Foundation and the The Hantomeli Foundation, The 6A Foundation, The English Family Foundation, The Hart Line Fund, The Assia Altman Fund, The Ronald and Mary Henderson Fund of the Australian Communities Foundation. Developed to support communities and youth affected by racially discriminatory policing and to ensure the comprehensive and effective implementation of Victoria Police’s ‘Equality is not the Same’ report and the intentions behind the historic Haile-Michael v Konstantinidis Federal Court settlement, the project is approaching its final and most important phase. The Peer Advocacy Team builds upon the previous two years of work, and help drives the ongoing work to end racial profiling.